Would You kiss a Frog? 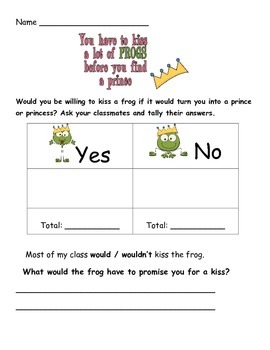 Would you kiss a frog in hopes they are a prince or princess? With this activity students: survey, tally and compare their data.